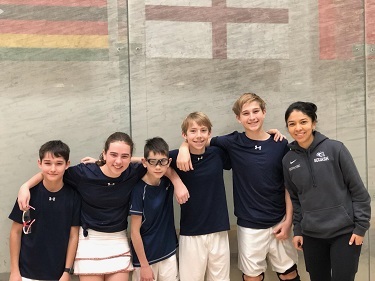 Jan. 30, 2019: The Bronxville Middle School squash team traveled this past weekend to Yale University in New Haven to compete in the U.S. 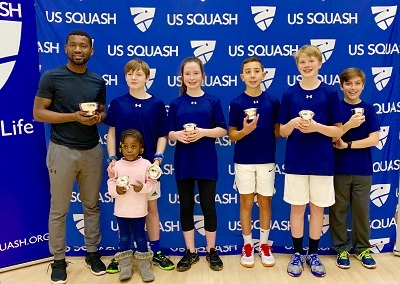 Squash Middle School National Team Championship. Eighty-nine teams from throughout the country participated in the tournament, an increase of 27 teams over last year. 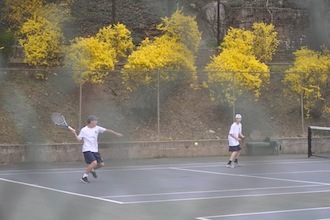 Bronxville sent four teams, which played across three divisions and finished second in Divisions I and IV. Bronxville’s first team included eighth-graders Brooks Clifford, Charlie Clifford, and Ronin Kaplan and seventh-graders Thomas Sheumack and Rustin Wiser. 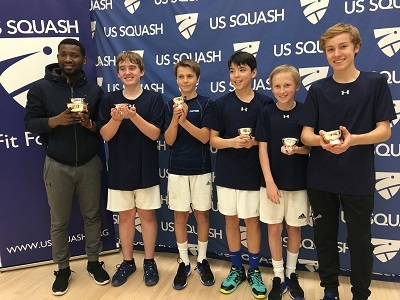 Their second-place finish made them the #2 middle school squash team in the nation and the #1 in the nation among public middle schools. This team came into the tournament as the third seed and, after facing a close match in the second round winning 3-2, upset the Brunswick School of Greenwich in the semifinals in a decisive 4-1 victory. They fell in the finals to The Haverford School of Philadelphia. Bronxville showed its depth of talented players by fielding a second team in Division I. This team included eighth-graders Wilder Burgin, Ellie Clifford, Drew Doyle, and Nicolas Park and seventh-grader Andrew Shah. They had many hard-fought and close 3-2 team matches. The team ultimately finished #16 overall and placed #3 in the nation among public middle school teams. Bronxville's third team also had an outstanding performance, winning the Classic Plate in Division III, finishing #5 overall. This team included seventh-graders Scarlett Hine, Jackson Meyercord, and Liam Neild and sixth-graders Ian Acharjee and Pierce Martin. Pierce had an undefeated record for all his matches. Finally, Bronxville’s fourth team had a great weekend, coming into Division IV unseeded and upsetting the #1 seed, Greenwich Middle School, in the first round. The team then went on to defeat SmartSquash Boys in the next round 3-2 and on to the finals where they narrowly lost 2-3 to Georgetown Day School. This team included eighth-graders Cooper Ackerman and Alex Ladas, seventh-grader Meghan Curran, and sixth-graders Miles Jernigan and Rooke Wiser. Throughout the weekend, the Bronxville teams were coached and encouraged by two Bronxville Field Club coaches, Nayelly Hernandez and Tunde Ajagbe. “The kids are incredibly lucky to be training with such outstanding coaches,” said Sarah Clifford, the current parent team coordinator. Supreet Singh, who runs the BFC squash program, and coach Nayelly Hernandez both played at squash powerhouse Trinity College. Coach Tunde Ajagbe tours as a pro when he is not teaching. “These coaches really care about their kids and work with them to help them be the best they can be," said Clifford. 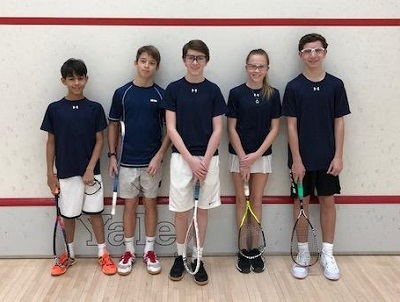 The Bronxville School squash program is in its ninth year and boasts a varsity and JV team of 18 players and a middle school team of 39 players. 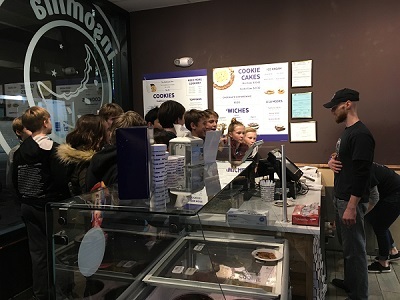 Players ordering cookies and ice cream at Insomnia Cookies after their matches. Clifford offered special thanks to the parent team managers, Amy Wiser, Nick Burgin, Jeff Hine, and Paige and Kenton Jernigan. “These managers make sure everything runs like clockwork on site and do an amazing job of supporting the players.” Clifford also noted that team manager Kenton Jernigan is in the Squash Hall of Fame and his picture hangs on the wall at Yale. "How great for the kids to see that!" 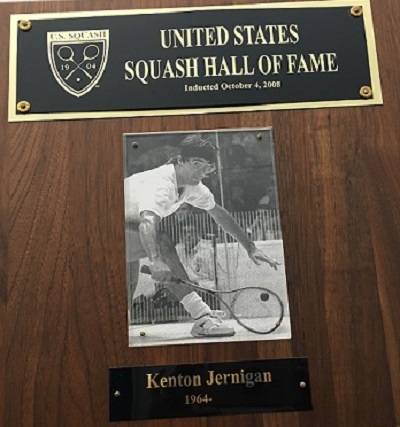 Plaque of Hall of Fame squash player and Bronxville MS team parent Kenton Jernigan on the wall at Yale. "Finally, the support from Karen Peterson of the Bronxville School and all of the parents is vital to making this program a success," said Clifford. 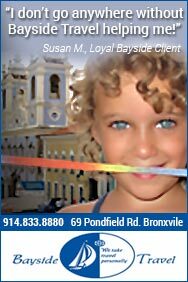 Editor's note: The children of a staff member of MyhometownBronxville participate in the squash program.